From the peaks to the pristine alpine meadows to Chiemgau's alpine uplands. The Chiemgau is famous for its traditional alpine huts. The summit of Chiemgau's local mountain offers everything that ambitious walkers and mountain-lovers could imagine. Meanwhile, the alpine uplands around Lake Chiemsee and Lake Waginger are home to walking paths through the pristine nature, moors and fenlands, allowing you to enjoy relaxed strolls. 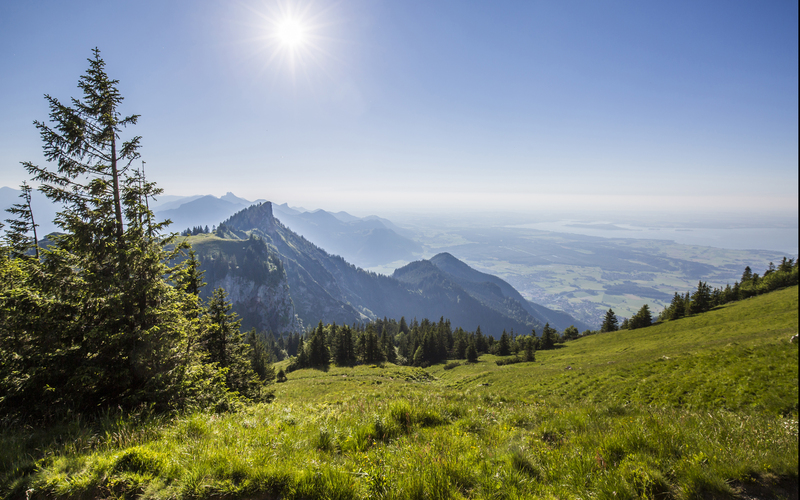 Chiemgau's mountains offer everything that ambitious walkers and mountain-lovers could imagine. The walks over the gently rolling hills or in the flat moors and fenlands are a real pleasure.